Business Architecture is explicitly representing an organization’s desired state and as-is state, through a set of independent, non-redundant artifacts, defining how these artifacts relate with each other, and developing a set of prioritized, aligned capabilities needed to meet the organization’s goals, communicating this understanding to stakeholders, and advancing the organization from its as-is state to its desired state. Business Architecture helps in laying out a clear framework of a company’s structure, personnel, technology and business. Business architecture thus provides a graphic detail of an organization’s working and helps in planning and improving for optimizing business. It provides a comprehensive view of the policies, principles, services and solutions, standards and guidelines in an enterprise. It promotes and aligns IT initiatives throughout the enterprise. What is the primary objective of business Architecture? The primary objective of Business Architecture is to clearly lay out the goals of the enterprise, its critical components and to define them in their relationship with other components. Business Architecture is developed based on individual department goals and overall business objectives. Business architecture and strategic planning is the key to planning, coordinating and implementing an organization’s business objectives. It helps in the smooth functioning of different units in an organization, both inside and outside the enterprise itself. BA is a kind of planning based on the strategic vision of the company, that moves from a “narrative” thousands of pages of text approach, to a more visual easy to consume and understand approach. It helps in creating a synergy of the firm’s various capabilities and guiding them towards strategic goals. It lays out a clear framework of a company’s structure, personnel, and business, called a business architecture framework. What pages and pages of text on a company’s performance cannot achieve, business architecture can, with its visual and graphic impact. 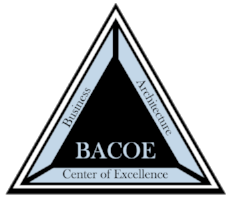 BA can document a company’s present baseline state as well as project an ideal world future state. A target state is a compromise vis-a-vis the company’s goals and the ideal state. Contact us to determine if Business Architecture is the right fit.